Born in 1943 in Chemnitz, Germany, Dietmar immigrated to South Africa in 1964. Trained as a professional chef, he spent 35 years working in four and five-star hotels in Europe, the Indian Ocean Islands and South Africa. He was the Executive Chef of the famous St Geran Hotel in Mauritius. During its first two years of operation, Dietmar introduced ice carvings and butter sculptures to their buffets. They were the first of their kind on the island! His favoured ex-trainees now hold executive positions themselves in this world-renowned resort hotel and they continue their master's culinary art with pride today. Over the years, Dietmar has received much acclaim for his gourmet food, in particular his stunning food displays, butter sculptures and ice carvings and has won numerous awards and gold medals at both local and international chefs' competitions. 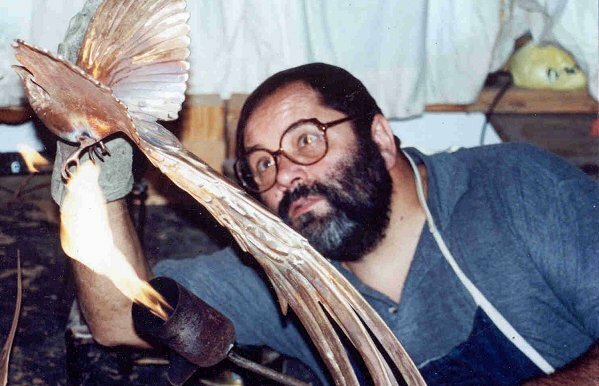 Having discovered his talent for three-dimensional form as well as his ability to capture the movement and vitality of wildlife subjects, he decided to develop his interest further by teaching himself and casting some of these pieces in bronze. From these early experiments, both his love and expertise for sculpturing grew and, in 1990, he decided to make a career change, moving from the hotel industry to become a full-time artist. His work is very distinctive - he has perfected the art of form simplification in his work, reducing his subject matter to essentials while retaining its intrinsic character. These are not the dull repetitions so often seen, but vibrant statements that have a life of their own - some pensive, some cheeky, others arrogant or combined in collective compositions, and all having an intrinsic sculptural value that surpasses the mere illustrative solution. 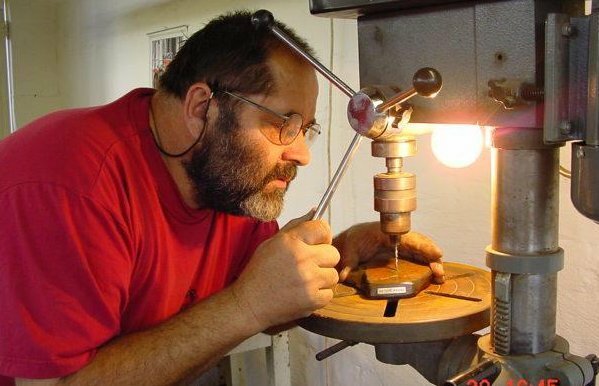 Dietmar built his own foundry and is proud to cast all his work himself. He uses high quality bronze and casts in the lost wax procedure. He also uses the new, highly effective, ceramic shell technology. 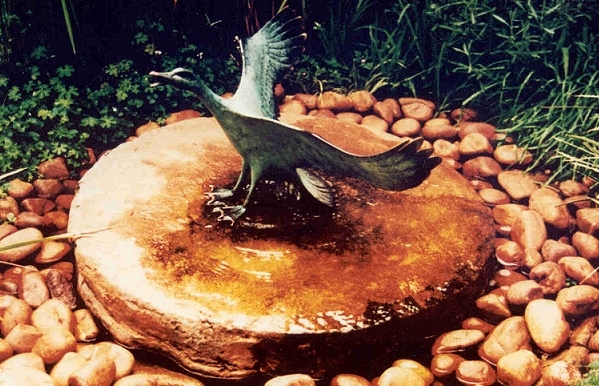 Dietmar's bronzes can easily be identified by his eye-catching mounting techniques and enhancing patinas, which imbue his works with life and colour. Birds and marine life, which he loves, were his original themes in his exotic food displays. 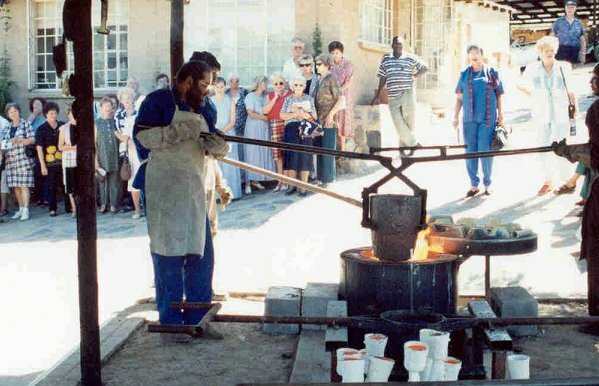 It was a natural transition therefore to use and perfect these for his series of bronzes. Even though Dietmar is well known today for his bird and marine life sculptures, he has also begun to move toward figurative and abstract sculpture and paintings. His sculptures range from a cute little long-nosed butterfly fish, a mean mako shark, a prehistoric coelacanth and a bizarre lionfish to a life-size sailfish. Being a keen scuba diver, and having even dived at the Great Barrier Reef, Dietmar finds it of benefit for his work to study, film and photograph his subjects above and below the water. Besides numerous other commissions, Dietmar was commissioned to do several pieces for the world-famous, newly refurbished Le Touessrok Hotel in Mauritius. 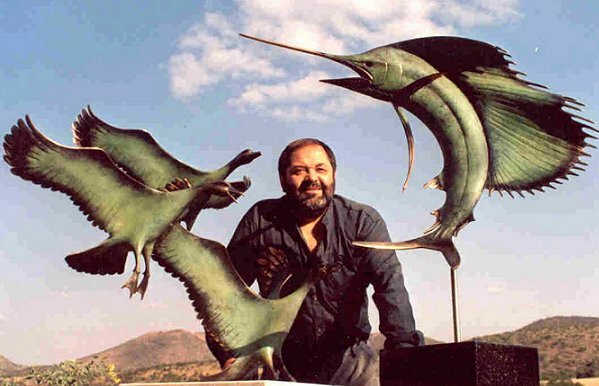 However, perhaps his most impressive work can be seen at the main entrance of the Wild Coast Sun Casino and Hotel in the form of three life-size sailfish leaping out of a pond and more than 70 marine fish mounted on a large 'wet wall'. 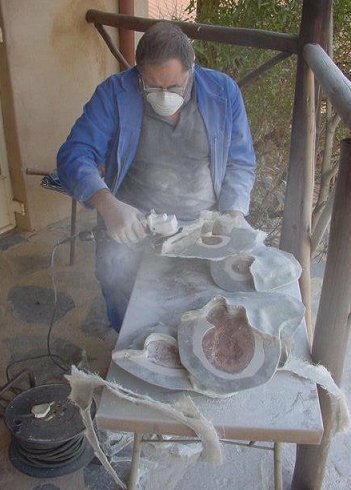 Professor Mike Bruton, previously of the world-renowned JLB Smith Institute of Ichthyology in Grahamstown, praised Dietmar for the accuracy of his marine life sculptures and his style and considers Dietmar to be South Africa's leading marine fish sculptor. A dedicated conservationist, Dietmar made the following statement: "I am very concerned about the conservation of all wildlife, especially my beloved birds and marine life. It is so devastating to see the world's rivers and dams becoming more and more polluted. The whole world is using the oceans and lakes as a dumping ground for toxic waste. It is hard to believe that man is slowly but surely wiping out all of the beautiful creatures on this planet. Soon our children will not have the chance to see many wildlife species alive at all. As an artist, I have an urge to capture the beauty of all our endangered animals so that they may 'live' forever in paintings and sculptures."